Interconnection and data centre company Equinix has announced the results of an independent survey of senior IT decision-makers in Ireland, which found that the typical medium to large enterprise will spend on average €190,000 on cloud technology and services in the next 12 months. The survey shows that about 85% of businesses are currently deploying cloud technology. More than half (53%) already have plans to increase deployment in the next year and a further 38% are considering increasing their cloud usage. The findings show that cloud technology is widely deployed by Irish enterprises and businesses are relying on their cloud service providers (CSPs) to help them become digitally competitive. When asked to list their top reasons for using cloud technology, 48% said it provides them with the ability and flexibility to scale, while 34% said it helps with speed of deployment. Despite the clear competitive advantage of using cloud, businesses face barriers to adoption, or increased adoption. Security risks were listed by 60% of the respondents when choosing the top barriers. That was followed by loss of control of data and governance (50%) and the high costs associated with deployment (38%). As the General Data Protection Regulation (GDPR) deadline approaches, businesses are exercising caution with regards to where their data in the cloud resides. More than half (52%) said the legal jurisdiction in which their data is held ‘always’ affects their choice of CSP, while 27% said it ‘sometimes’ does. 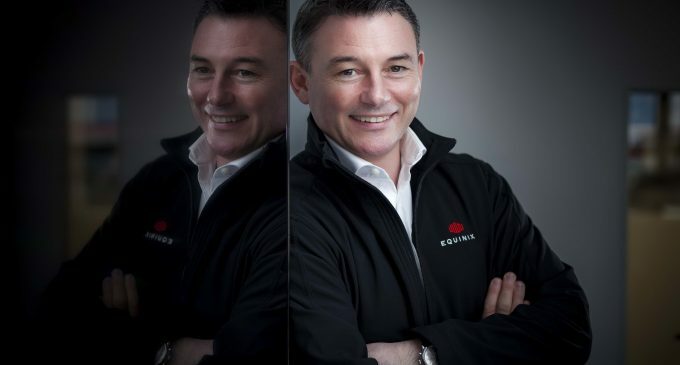 Maurice Mortell, managing director for Ireland and emerging markets, Equinix, said: “Irish businesses have really embraced cloud and you can see that in the amount they are investing in it and the increasing sophistication of their usage. Cloud is essential for all businesses today – not just IT companies. In fact, it’s quite hard not to be utilising the cloud in some form or another these days. However, businesses must ensure that they are using the cloud in a secure, efficient and innovative way that enhances their business and helps them compete in the digital era. “One of the ways in which we are now seeing enterprises do this is through multi-cloud deployment – in other words, using more than one cloud service provider. There are many benefits to this but one in particular is performance. As data becomes increasingly distributed because of our mobile lives, businesses are now realising that capturing data closer to where it is generated improves the quality of service. Having multiple clouds in multiple markets to interconnect IT infrastructure at the digital edge is the way of the future. We expect this trend will continue to take hold of businesses’ IT strategies to the point where almost all are using multiple CSPs. Earlier this year, Equinix launched its Cloud Exchange platform in Ireland, specifically designed for businesses that need direct access to multiple CSPs. Bypassing the public internet, it provides direct connectivity to the world’s leading cloud services providers – helping enterprises to embrace digital transformation by enabling them to leverage cloud-based services to meet changing business needs – all from one location. The first CSP available on Cloud Exchange in Ireland was Microsoft Azure and Office 365, which was voted by 49% of survey respondents as the ‘most trusted’ CSP on the market.